Think you may have a gluten intolerance? Do this first. The gluten free craze has kicked into high gear, and it's only expected to get bigger according to the New Yorker. Some go gluten-free because they feel it is healthier and will help them lose weight. Others are on a strict gluten-free diet because they have celiac disease, a damaging autoimmune disorder. Others are gluten intolerant and avoid gluten because it causes discomfort. Others have a gluten allergy. Do you often feel sick after eating bread and are worried you may have a gluten intolerance? If you feel you may have a gluten intolerance, follow these three simple steps to address it. First, let us find out what gluten is and where it is found. Gluten is a protein found in wheat, barley and rye. It is a part of the everyday American diet and can be found in pasta, cookies, and cereal, etc. Gluten helps to binds substances together, it is frequently added to processed foods, such as soup, soy sauce, and salad dressing. Follow this link to Celiac Disease Foundation’s comprehensive list of foods contain gluten. Gluten can cause people to feel ill for three reasons: an allergy, intolerance, or celiac disease. It is common to assume that an allergy and intolerance is the same, although they are markedly different. Food intolerance is much more prevalent than a food allergy. Food allergies will cause an immune reaction that will affect multiple parts of the body, not just the digestive system. According to the Mayo Clinic, food intolerance is often limited to digestive problems (but can have a range so symptoms). With hundreds of gluten-free options available on the market, it is easy to go on a gluten-free diet to avoid discomfort. This is not advisable and on simple reason: check to see if you have celiacs first. Celiacs is a potential life-threatening disorder that causes the immune system to trigger T cells to fight the offending proteins. This damages the small intestine and prevents the absorption of important nutrients. As much as a bread crumb of gluten can cause significant discomfort and damage when someone has celiacs. For individuals with celiacs, gluten can contribute to weak “educational performance and failure to thrive in children...an increased risk of fractures and osteoporosis, problems during pregnancy and birth, short stature, dental enamel hypoplasia, dermatitis, recurrent stomatitis and cancer” (www.immusant.com). Moreover, celiacs is known to cause neurological damage and even death. The scariest part? Most individuals with celiac disease are undiagnosed. Don’t let that be you. According to the National Foundation for Celiac Awareness, “it is estimated that 83% of Americans who have celiac disease are undiagnosed or misdiagnosed with other conditions.” and 1 in 133 people have celiac disease. If you feel gluten is making you sick, ask your primary care doctor to have you tested for celiac disease. Keep in mind that in order to be tested for celiac disease, one cannot be on a gluten-free diet. Click here more information on screening for celiacs. If your celiacs tests come back negative, speak with your doctor. 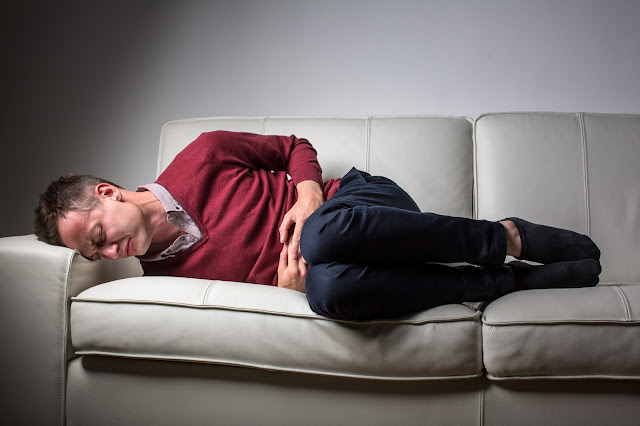 You may have irritable bowel syndrome, a wheat allergy, hormonal imbalance, or non-specific gluten intolerance. Work with them to go on an elimination diet or be screened for an allergy to prevent any health risks. Walking down the path towards health and wellness with confidence. Kay’s Naturals is all about empowering individuals to reach the optimal health. Our mission is to provide the community with gluten-free, high-protein, low-GI, and all around healthy and delicious snacks and cereals. Go more to our website to see how Kay’s can help you reach your health goals!